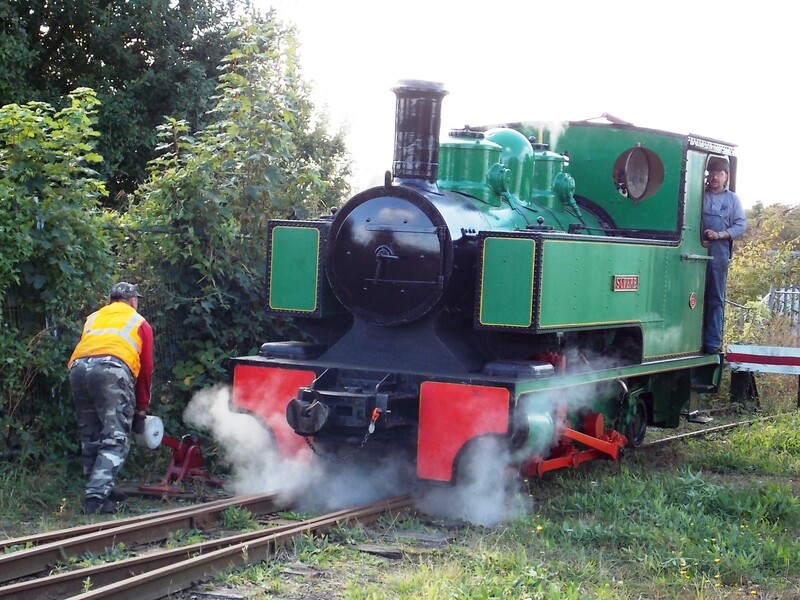 The Sittingbourne and Kemsley Light Railway came to the end of its first season back on the full track this weekend, after being closed for four years. Volunteer press officer, Paul Best, invited me along to tell me more about it. I arrived early and already a large queue was patiently waiting: families and couples, old and young individuals – everyone clearly excited to see the steam locos back where they should be, on track. As each train departed, so another queue formed – Paul and I only just squeezed into the third one for our journey to Kemsley. An enthusiast for 25 years and in his second stint as press officer, Paul told me: “We always plan a busy timetable, but we can be flexible and run more passenger trains and less freight if need be.” He then went on to give an impromptu commentary for those lucky enough to be in our compartment; this man knows his stuff! 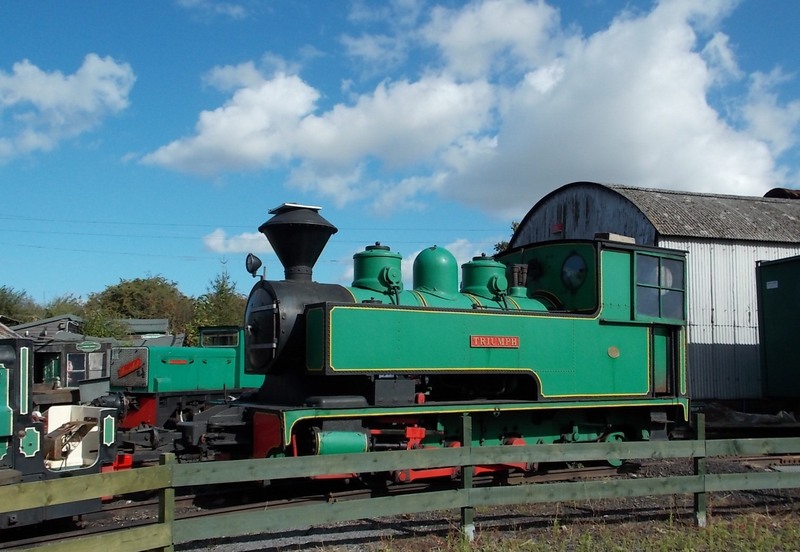 Alighting at Kemsley you can take a break in very reasonably priced and friendly Footplates Cafe, enjoy a stroll around the Wildlife area, let the children play in the garden or find out more about these iconic locos and their working home in the museum. The Saxon Shore Footpath runs right alongside, offering gorgeous views across Milton Creek – it’s no wonder there were many cameras to hand, especially on such a beautiful day. While closed, the line had been subject to vandalism and theft. Consequently nothing is left on site; even the ticket office is a temporary structure, set up each morning. They opened fully again at the end of May this year, after running a limited service from Milton last year. Paul said: “We’re preserving the history of paper making in Sittingbourne through the operation of the original locos on the original track – probably put in by Bowaters Paper Mills.” (A detailed history can be found here). “It’s one of only three 2ft 6 gauge railways in the country (the others are in Whipsnade Safari Park and Welshpools, Llanfair.) 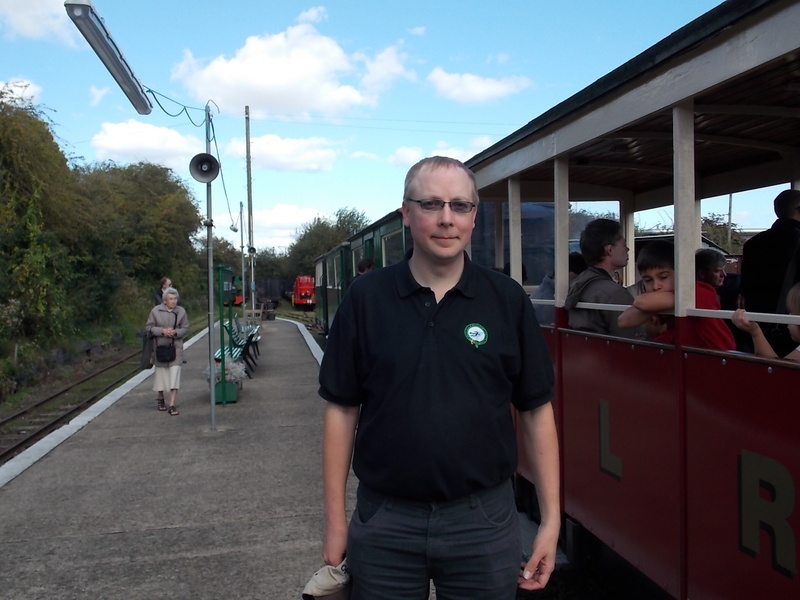 Swale council donated some money to buy the saddle tanks needed for the Leader and Premier locos, but apart from that, it’s self funded by paying customers and run completely by volunteers. Just maintaining the viaduct has cost £100,000 in the last ten years. Unfortunately, we don’t actually own the land so we don’t qualify for Heritage Lottery Funding. The summer season now over, the hard work of restoring and rebuilding begins, stopping only to open up again in December for the Santa Specials. Next season should see them operating from Easter through to the end of September (watch out for special events involving Jack Station Cat and Ivor the Engine). The enthusiasm of the volunteers adds to the whole experience, they clearly love being involved and sharing their passion and knowledge with a receptive audience fascinated by these venerable locomotives.